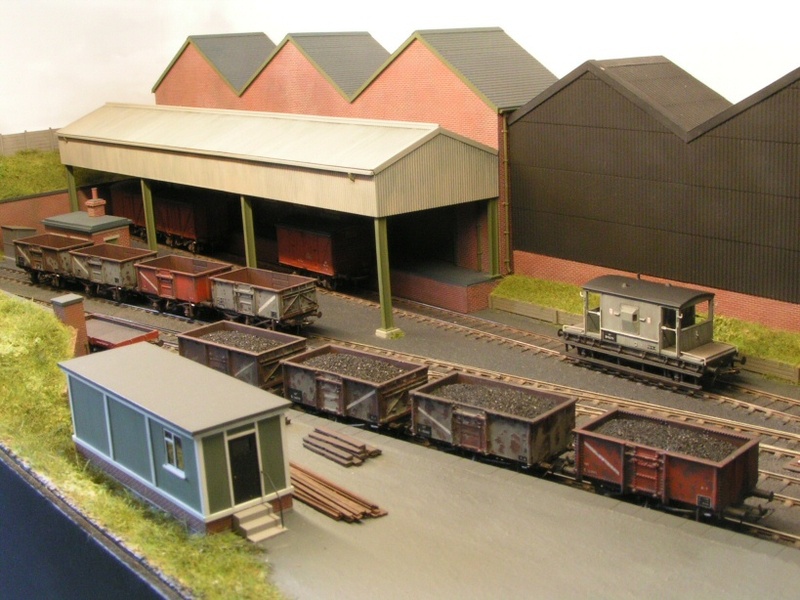 The 2mm Scale Association is running a layout challenge to celebrate our forthcoming Diamond Jubilee in 2020. Entrants will be required to build a small 2mm scale layout where the footprint of the scenic area must fit within a rectangle 60 centimetres x 9.42 inches. The dimensions chosen reflect the peculiar mix of imperial and metric that is so typical of the British railway modelling scene and represent the 60 years since the 2mm Scale Association was founded and the 9.42mm track gauge used to represent British standard gauge track in 2mm finescale modelling. The Golden Jubilee Layout Challenge that we promoted in the run-up to our 50th Anniversary celebrations was well received and we have therefore decided to run another challenge for our 60th anniversary. One of the main aims of the challenge is to encourage those members who have not yet built a working 2FS layout to 'dip their toe in the water' and to build a small working layout. 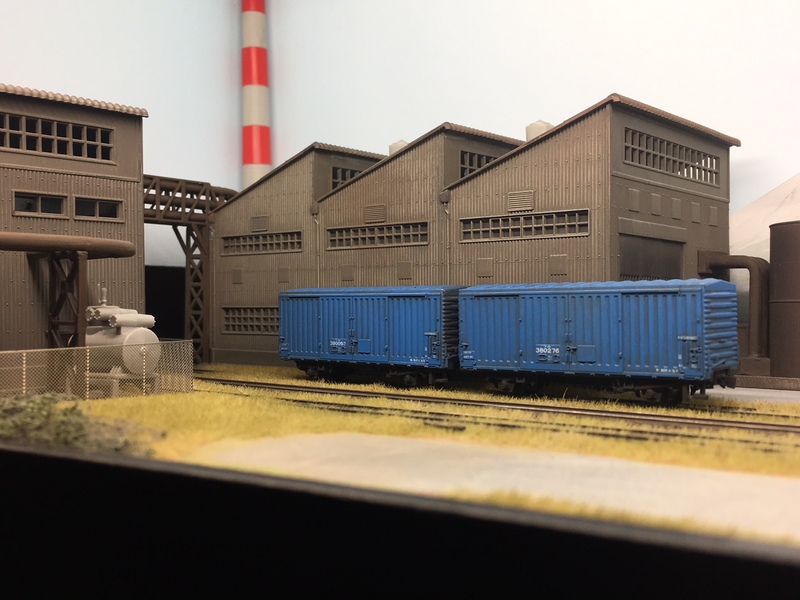 Of course, experienced 2mm modellers are equally welcome to enter the challenge, and the challenge may serve to act as a break from a larger project or an opportunity to produce a smaller piece of modelling of a different location or era perhaps. The footprint of the scenic area must fit within a rectangle 60cm x 9.42inches (600mm x 240mm). The fiddle yard(s) are not included in the above measurements and can be of any length and width. The entry must be built using the 2FS track and wheel standards as detailed in the 2mm Yearbook and on the Association website. Models of prototypes built to run on broad or narrow gauges are eligible provided the track and wheel standards are similar to (or finer than) the Association standards, subject to approval by the organisers at the time of entry. In order to give an element of operational interest and to encourage development of skills, each entry must contain at least one working turnout within the scenic area. Other means of moving stock between tracks (e.g. turntables/sector plates) are permitted provided the above requirement is met. The layout must be portable and capable of being transported by private car or public transport. Entries can be the work of individuals, area groups or clubs. All components, particularly electrical items, should be safe for use at a public exhibition. Entries will be invited to be displayed at the Diamond Jubilee Expo in 2020 (to be held at the Derby Conference Centre on Saturday & Sunday 13/14 June 2020), where an award will be made for the most popular operational layout as voted for by visitors. Entrants will also be encouraged to bring their models to Association events in the run-up to the Diamond Jubilee events, either completed or as work-in-progress. We would also encourage entrants to send progress reports and photographs to the editor of the 2mm Magazine and to post progress updates on the 2mm Virtual Area Group (on Groups.IO) and other internet forums such as RMweb. Help and advice will be available throughout the challenge and we would encourage entrants to use the challenge as a way of developing their modelling skills. Above all, it should be enjoyable! Although it pre-dates the DJLC, David Long's "Mayfield Street" layout shows that it is possible to build a realistic and operationally interesting layout with a scenic area of 60cm x 9.42". The closing date for entries will be in the spring of 2020 (to allow us to plan the displays at the Diamond Jubilee Expo), but we would encourage you to register your details with the organisers as soon as possible . If you have an idea in mind but are not sure if it will meet the rules then please contact the organisers (secretary@2mm.org.uk) to check that it is acceptable. The Diamond Jubilee Layout Challenge entry form is available to download.